This is the 23 foot yacht 'Crewcut' (Note the painted barbers pole mast and boom! ) 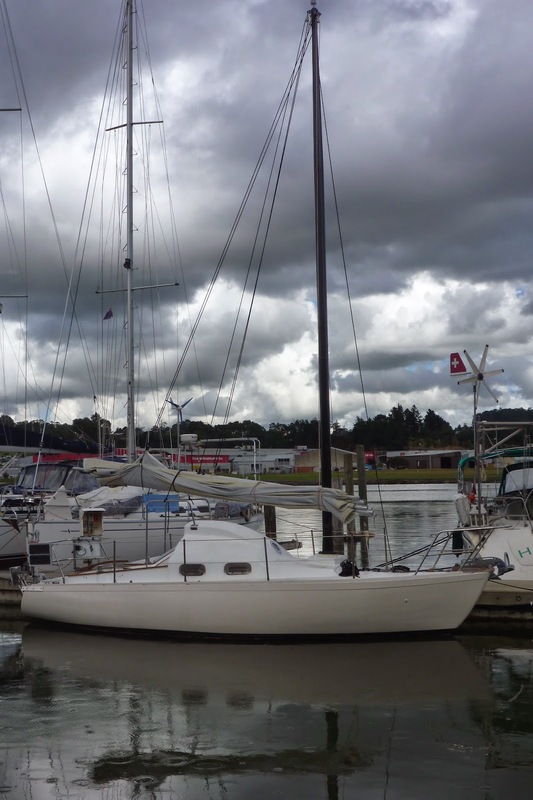 She is a notable little John Hakker designed yacht that was designed and built during the 1960s in New Zealand. 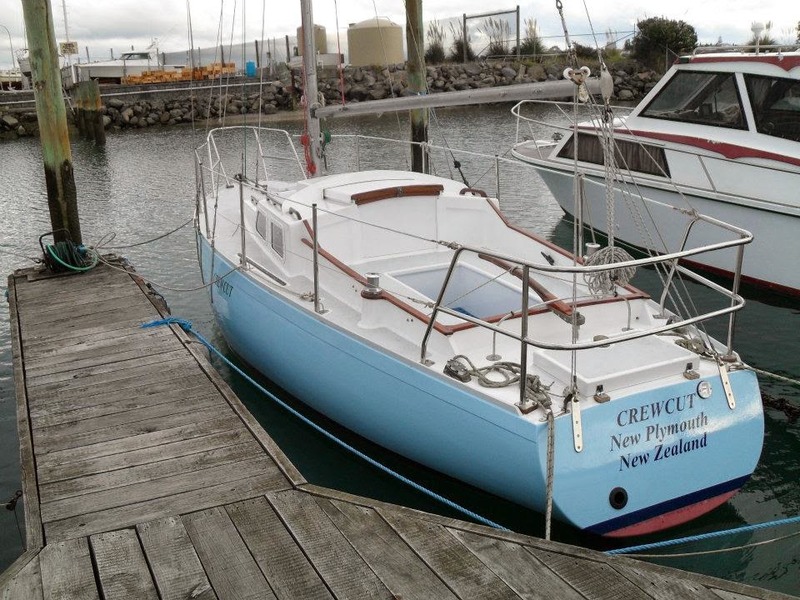 She completed a successful solo trip to the Pacific Islands by her builder and owner that was featured in 'SeaSpray' magazine. Hakker based the hull on the famous Laurent Giles 'Trekka' that builder John Guzzwell sailed around the world in the 1950s / 60s. 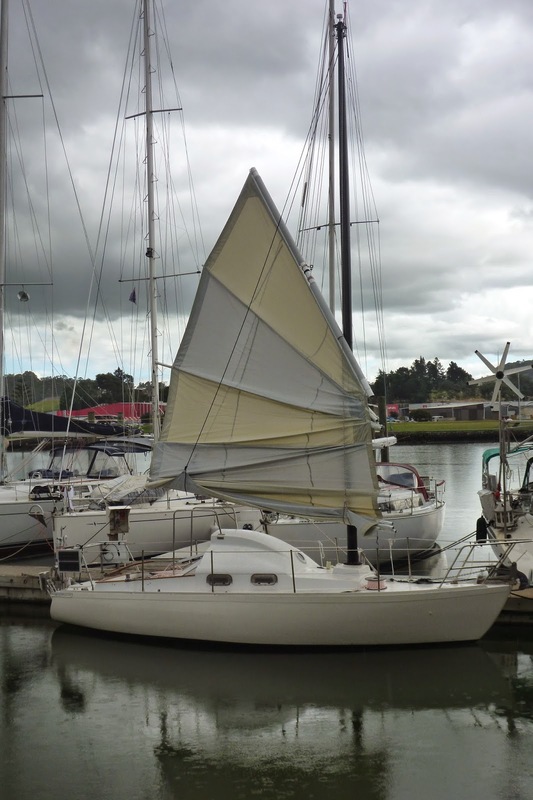 This Blogpost is to show how a sistership to this design has been transformed into a different approach to sailing. These photographs of 'Crewcut' show a successful and very recent restoration. 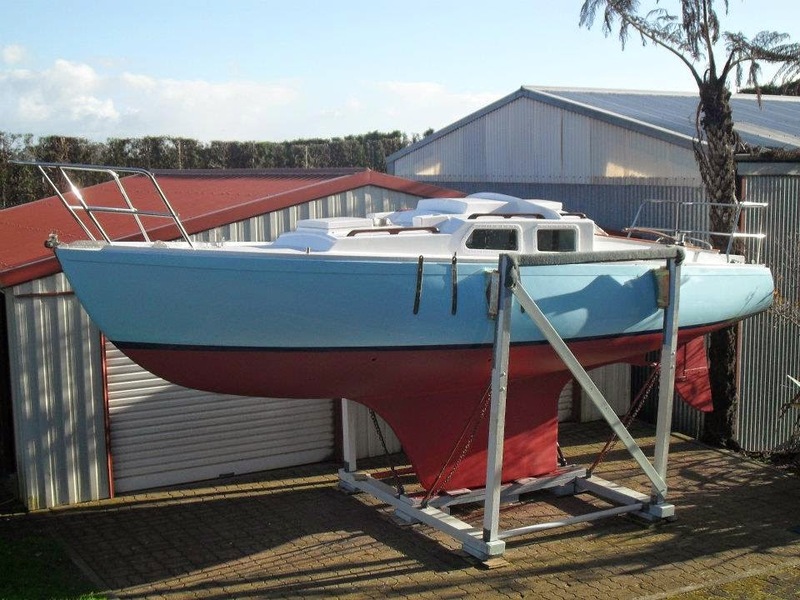 The hull is a displacement hull of modern form with a separated keel and skeg rudder. The yacht pictured below, 'Ocean Partisan' is a sister ship (same design) to 'Crewcut'. A comparison can be made between the completely restored 'Crewcut' and 'Ocean Partisan' which has been transformed to facilitate a different approach to sailing. This approach is within the tradition of Blondie Haslers 'Jester', Roger Taylors 'Ming Ming', Annie Hills 'Fantail' and many other small yachts of this genre that often feature in the famous 'Jester Challenge' - being a solo transatlantic yacht race in yachts less than 30 feet overall. 'Ocean Partisan' has been made completely watertight by the addition of a sealing hatch built around a new entrance way that shortens the length of the cockpit. An unusual addition has been to the top of the cabin trunk which provides for standing headroom in the main part of the cabin. Smaller more seaworthy windows have been fitted in the trunk cabin sides. The biggest change is to the rig. 'Ocean Partisan' has been fitted with a free standing Junk rigged mains'l. The advantage of this rig is its very easy handling, with all control lines leading back to the cockpit. Many of the skippers of these small boats control the whole boat standing in a hatch in the top of the cabin trunk. There is no hatch in the foredeck. She is still being rigged and many sheets and controls still have to be fitted. 'Ocean Partisan' is fitted with a self steering vane. The tell tale outboard fitting tell us she doesn't have an inboard engine. The stern hatch has been enlarged, which I guess is where the outboard motor is stowed. The large stainless steel chain plates bolted to the hull at the stern are for attaching a 'Jordan Series Drogue' to. This is probably the best form of drogue for holding a yachts stern to huge seas in survival conditions. This is the very famous yacht 'Jester'. 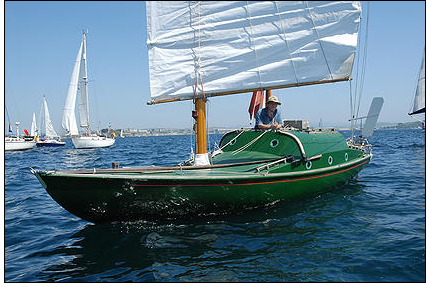 She is a converted 'Folkboat' design that has been competing in most of the solo transatlantic races since the early 1960s. Her owner the legendary Colonel 'Blondie' Hasler (Of 'Cockle Shell Heroes' fame) set 'Jester' up for singe handed sailing with a Junk rig. Despite the compromise of a Junk rigged hull ( Smaller sail area and compromised windward performance) Jester has always competed well against more traditional rigs in transatlantic races, sometimes finishing ahead of them. 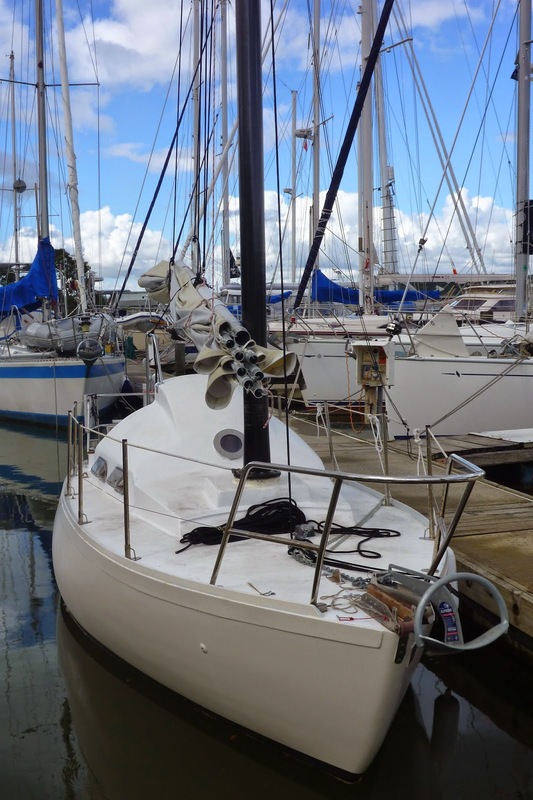 It may be that the ease of handling is a significant factor in terms of fatigue and the ability to sail a boat competitively over long distances. So here she is almost fitted out. 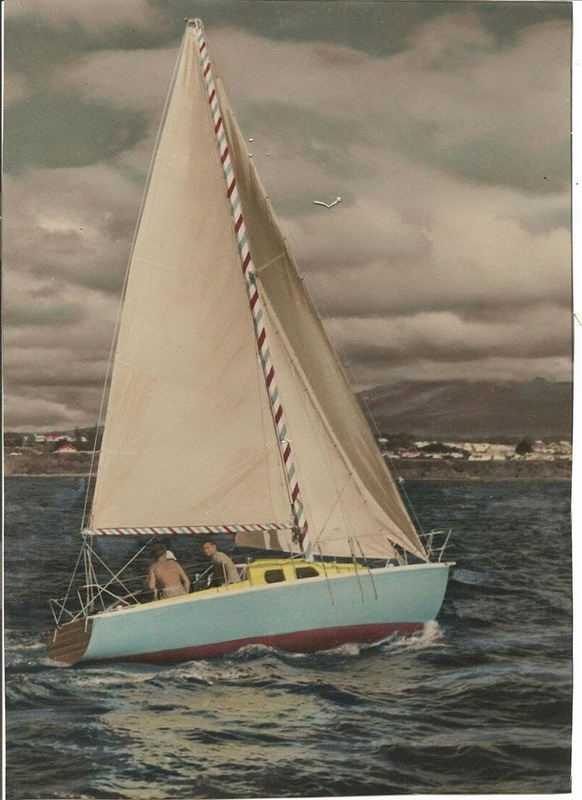 Although similar by way of her Junk rig to all the little single handed yachts that have gone before her, this little yacht is unique. Here she waits, keeping her own council, awaiting her ships sailing orders. I will await with interest news of how well she sails and what adventures are in store for her.